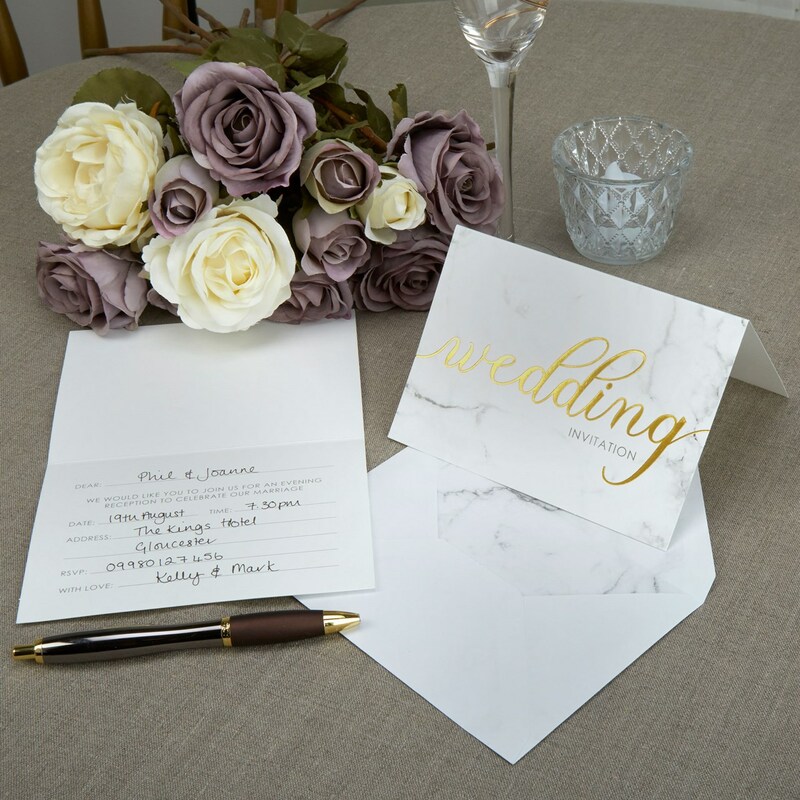 Lovers of simple, contemporary design will appreciate the clean lines of these smart wedding invitations, blending a marble effect design and dramatic gold calligraphy. With plenty of room inside to share all the important details, these invitations offer a sleek and stylish way to share the excitement of your upcoming celebration. Each pack contains 10 Cards+Envelopes.